Home » Credit Card Debt » What is An Average Credit Score? What is an average credit score? That’s a question I hear over and over again when presenting our financial literacy programs. Well, your generation and its spending habits may have more to do with it than you realize. Millennials and Gen Z’ers have led the charge in rising consumer debt levels according to the latest TransUnion Industry Insights Report. But that doesn’t mean that the Boomers are completely off the hook either. That generation carries larger debt balances, but the growth of those debts has cooled for the moment, and their delinquency rates are dropping as well. The overall news for Canada isn’t much better. Consumer debt levels as a whole in Canada have risen to $29,312 in 2017 earning a 4.6% rise over 2016 nationally. As much fun as it is to pit baby boomer vs millennial in financial debates, I can’t help but wonder how much each of these generations really knows about their own personal credit histories. Do you check your credit report annually? It’s free. 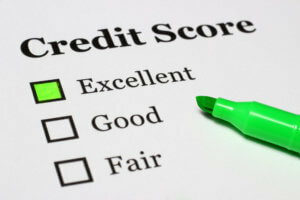 Do you monitor both of your credit scores regularly? Yes, you have two credit scores, and yes, you can get them online for free as well. And no, doing any of the above will not negatively affect your credit score. So what is an average credit score? Well for Canadians, the short answer would be “around” 600. Not bad (fair-in fact) considering scores in the 700s and above are considered good or very good. But to crack the 800s you’ll be doing yourself a favor by understanding what variables go into the mystical credit score calculation. 35% payment history, 30% utilization, 15% length of history, 10% new credit applications 10% credit mix. Not sure what any of that means? You should, if you want to look like an attractive candidate to landlords, lenders, and employers. Crack that 800 and leave very good credit behind so you can say hello to lower interest rates and great perks. The recent dip in real estate markets across Canada could mean that it’s time for some fence-sitters to make the jump into the market, taking on some of that good debt in the process. Sure, a very good credit score will get you a very good mortgage rate. But why be very good when you could be excellent? The difference between very good credit and excellent credit usually means having access to all the information. Just having that knowledge made available to participants in our financial literacy workshops typically motivates them to review their situation and start making a plan to improve their credit scores. This is true regardless of where they find themselves on the credit scale: I’ve seen people in the 500s want to get into the 600s just as badly as people with a 750 want to break into the 800 territory. All they needed to know were the rules of the game. I can’t recall how many times I’ve had a participant come to me after a seminar and say something like “I had no idea I was over-utilized on my credit card when I couldn’t pay it off once in a while.” Well, if your credit limit is $1000, how much of a balance can you safely carry month to month? Don’t know? Why not find out? The information is out there. The Internet is saturated with personal finance tools and resources. National and local media run programs and articles dedicated to personal financial literacy. Our own federal government is proposing to introduce legislation that would strengthen the Financial Consumer Agency of Canada’s tools and its mandate to advance consumers’ rights and interests. We’ve even established our own equally impressive Credit Dojo, where only the most disciplined will attain their black belt (but everyone gets a certificate of completion). So please, for your credit’s sake, become your own Credit Master. If you’re looking to be better than average (and really, who isn’t? ), why not start with the first logical step – get your free credit reports from TransUnion and Equifax. Next, understand what’s on there, if it should be there, and how long it will be there. To get your free credit report go here, then here download the Equifax Canadian Credit Report Request Form and the TransUnion Consumer Request Form and fill them out. Include photocopies (front and back) of two pieces of valid, non-expired Canadian Government-issued identification. At least one of the two IDs must include your current home address. Yes, that might mean you have to fire up that 2 in 1 scanner/printer that’s collecting dust at home, or maybe a trip to a relative’s house or the local library. Even if you’ve got to sneak a copy off at work or head to a corner store and pay 10 cents, trust me it’ll be the best 20 cents you’ve spent in a while. More importantly, with any of those options mentioned above, there’s an opportunity to move the financial literacy conversation forward. Say your boss catches you copying your IDs at work, or your relative asks why you need a copy of your license and health card, now you’ve got an opening to talk about what is often an uncomfortable subject. “I’m checking my credit reports” you can say. “I want to become a Credit Master” you probably won’t (but totally should) say. Have you checked your credit report this year? Ask them! Yes, even to the clerk at the corner store that helped you with the photocopier. Perhaps they’re a credit master themselves and can impart some knowledge on to you. More likely they’ll tell you not to do that. And that by checking your credit you will hurt your credit score. Which of course is totally false. Any credit master would know that. So on your own path to credit mastery, on top of not overpaying for things like cars and houses with higher interest rates, you can rest well knowing that you have the tools to become better than average. Which is what we all want, isn’t it?